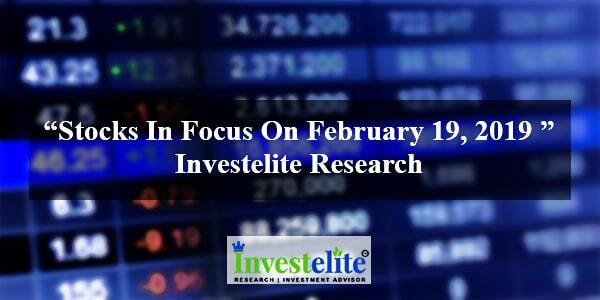 Results on February 19: Valecha Engineering, Asahi Industries, Linde India, Imec Services, Shailja Commercial Trade. Power Grid Corporation: Board accorded investment approval for ‘Northern Region System Strengthening – XL’ at an estimated cost of Rs 572.98 crore with commissioning schedule of 22 months from the date of investment approval. Suditi Industries: Company executed the license contract with PSG Merchandising, a French simplified limited liability company. Accordingly they have granted company the right to use Paris Saint-Germain”s intellectual property rights for commercial purposes. Cyient: Company launched its connected equipment offering for OEMs and equipment owners and operators. 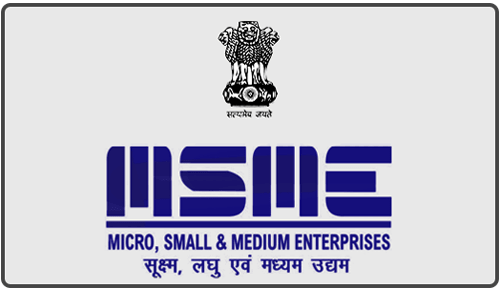 Gokaldas Exports: Company entered into a Memorandum of Understanding with Government of Karnataka for setting up apparel manufacturing units over a period of next five years in Ballary district involving an investment of approximate up to Rs 80 crore. Mindtree – IT Dept withdraws provisional attachment order for the transfer or charge of 22,20,000 and 52,70,000 equity shares of Mindtree by Coffee Day Enterprises and V G Siddhartha, held by them respectively. IL&FS Transportation Networks: Interest due and payable on February 18 on the NCD was not paid to the debenture holders due to insufficient funds. Bodal Chemicals: Company has restarted remaining of dye intermediate and dyestuff operations. Ambuja Cements December quarter: Consolidated profit jumps to Rs 1,378 crore versus Rs 478 crore on tax credit; revenue Rs 6729 crore versus Rs 6173 crore YoY. Board recommended a final dividend on equity shares at the rate of Rs 1.50 per share. Grasim Industries: Company to acquire the chlor-alkali business of KPR Industries (India) by way of a slump sale, for a cash consideration of Rs 253 crore. KPR Industries would utilize Rs 253 crore towards a full and final settlement of the lenders’ dues under a one-time settlement. Tata Steel: Subsidiary T S Global Minerals Holding Pte Ltd concluded the divestment of its entire stake in Black Ginger to IMR Asia Holding Pte Ltd.
Huhtamaki PPL Q3: Profit dips to Rs 18 crore versus Rs 21 crore; revenue rises to Rs 613 crore versus Rs 562 crore YoY. Huhtamaki PPL: Board approved recommendation of payment of dividend at Rs 3 per share of face value of Rs 2 each. Cipla: Subsidiary Goldencross Pharma Private Limited has signed an agreement to acquire 11.71 percent stake in Wellthy Therapeutics Private Limited. Cipla: Company received a share of the South African Government’s National ARV tender for TEE (comprising tenofovir, emtricitabine and efavirenz) and TLD (a combination of tenofovir (TDF), lamivudine (3TC) and dolutegravir (DTG)). McNally Bharat Engineering Company Q3: Loss at Rs 193.3 crore versus loss Rs 144 crore; revenue falls to Rs 271 crore versus Rs 304.7 crore YoY. Jet Airways Clarification on media reports: Company would continue to work for its stake sale in Jet Privilege Private Limited at an appropriate time, as part of its turnaround plan. Hotel Leela: Rockfort Estate to buy 1 percent stake in company from Leela Lace via inter-se transfer. Rockfort Estate & Leela Lace are promoters of company. Wipro: Company launched QuMiC to accelerate migration to Oracle Cloud. Mangalam Cement: Company received in-principal approval for amalgamation of Mangalam Timber Products with company. Dishman Carbogen: Founder Janmejay Vyas steps down as MD. Global MD Arpit Vyas takes over founder’s duties. Future Consumer: Company entered into agreement with Middle East firm, T Choithrams, for supermarket chain. Dev Info Technology: Academy for Computer Training Guj Private Limited bought 28,500 shares of the company at Rs 74.54 per share on the NSE. Suumaya Lifestyle: Bimalkumar Rajkumar Bansal sold 3,44,000 shares of the company at Rs 31 per share on the NSE. Tara Jewels: Punjab National Bank sold 2,00,000 shares of the company at 50 paise per share. Viji Finance: Vijay Kothari sold 7,10,528 shares of the company at 83 paise per share.